Demonstrating the power of local cross-disciplinary conversations in order to keep concerns for place quality on the political and public agenda. 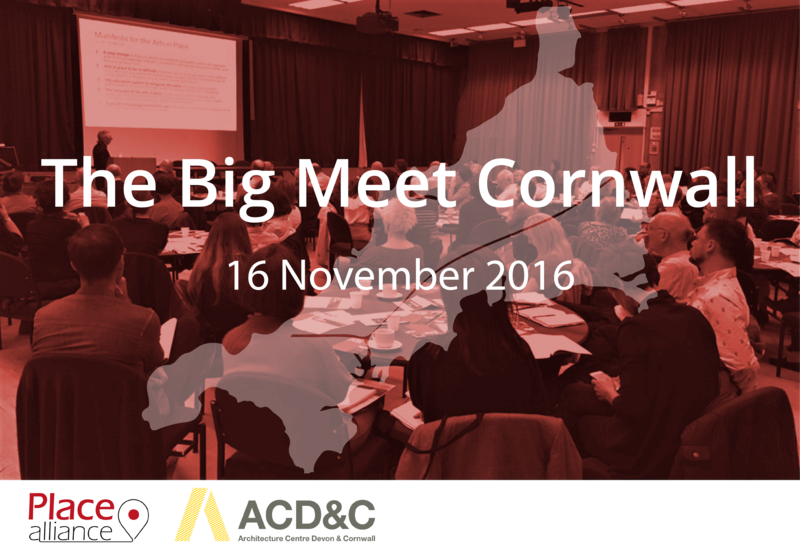 More than 100 participants gathered in the impressive interior of the The Great Hall at The Alverton, Truro on Wednesday 16th November for BIG MEET CORNWALL, an interactive seminar and networking event for all those concerned with place-making and good design in Cornwall – not just the professionals! The event was organised by The Architecture Centre Devon and Cornwall as a Place Alliance supporter, and in welcoming guests Mark Pearson, the Executive Director, reflected on the first year of its operation since re-launch and discusses some of the emerging themes. You can read Mark’s report of the event below. 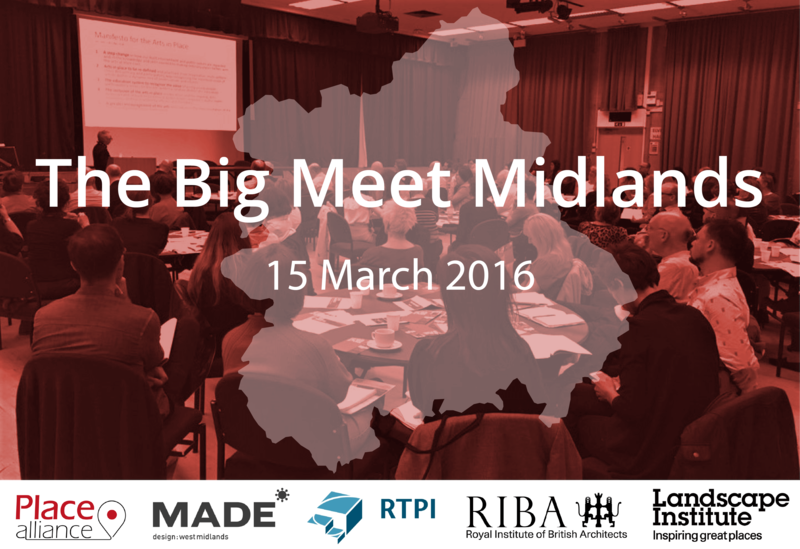 Organised by MADE West Midlands, Big MIDLANDS MEET focussed on design and the Midlands machine, and in particular on how the changing governance landscape and the arrival of major new infrastructure in the region will change the landscape for planning, design and the provision of housing. As the political landscape changes with combined authorities and devolution deals, what will this mean for planning and architecture? What role for place-making as big infrastructure crashes through our region? Where should the houses be built? 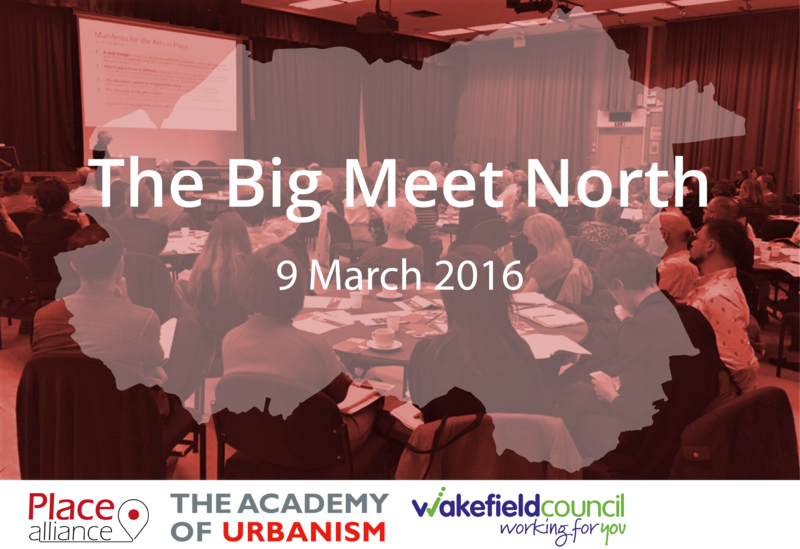 BIG MEET NORTH – Place Shaping Event for the Wakefield District was opened by Cllr Peter Box CBE, and it was an interactive and inspirational event that hoped to encourage innovative and creative ideas about how the future of Wakefield District might look. The aim of the day was to bring people who are passionate about Wakefield together, from a range of sectors: public, private and third sector. As part of the event, 8 themed facilitated discussions were held around future developments within the District. Delegates were invited to take part in the workshop on “HEALTH & WELL-BEING” in order to explore: Deficits, Needs and Aspirations. With expert speakers and facilitators from the field of place shaping, the event also included an initial address by Matthew Carmona, Professor of Planning and Urban Design at the Bartlett School of Planning, UCL. 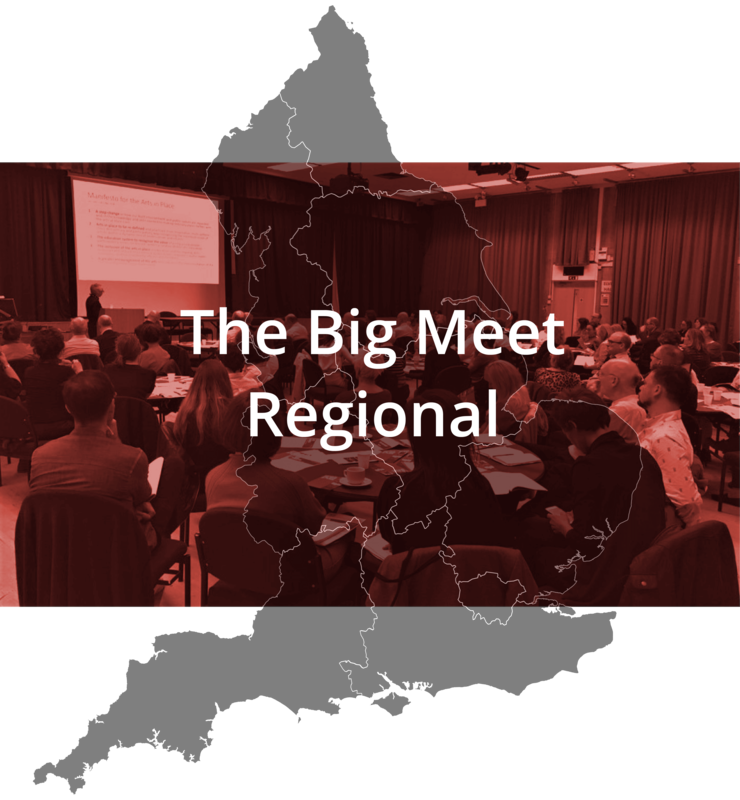 Chaired by Sarah Pearson, Service Director for Economic Growth and Strategic Housing, the event has been be a fantastic opportunity to share your ideas and give input on developments needed across our growing district! To capture the ideas and potential projects suggested, the event will also feature Adrian Spawforth, Wakefield First Board Member and Chair of Wakefield Bondholders and Neil Rodgers, Service Director for Planning, Transportation and Highways for Wakefield Council. You can download the Agenda of the event here.